The CFR 62% Fe 2% Al benchmark import price at the port of Qingdao tracked by The SteelIndex declined 10c to $69.80 a tonne, the same price hit on November 25 which was the lowest since June 2009. The price of the steelmaking raw material is down 48.8% since the start of the year. Fears of weaker economic growth in China has taken some of the blame for the retreat in the price, but most of the weakness stems from a predicted supply glut this year through at least 2018. “I’ve learnt never to say never, and I think that there’s… always short-term variations. “But, you know, I think that if you use basic economics and look at inducement pricing… certainly, you know, US$100 feels high going forward. 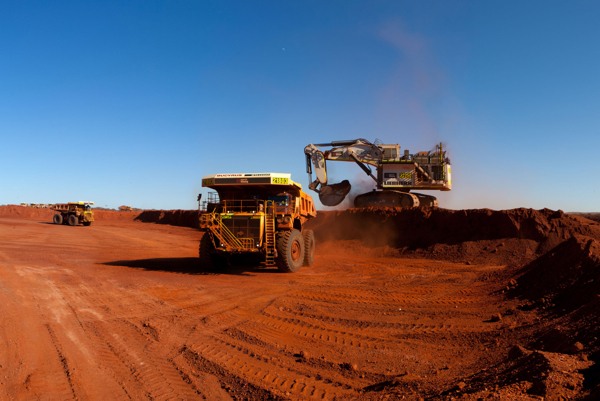 “The three major companies have announced expanding output and plans to drive down costs rather than cutting output in the hope that some of the higher-cost projects will start shuttering capacity,” said Henton, who’s tracked iron ore since 2003. Top producer Vale plans to boost Brazilian output to 450 million tonnes by 2018 from 306 million last year while Rio Tinto is well on its way to reach 360 million tonnes in the next few years. BHP Billiton’s expansion lags that of the two top producers, but the Melbourne-based is on target to grow capacity to reach 290 million tonnes per year by mid-2017. As smaller, high cost producers outside China fall by the wayside the Big 3 is set to control more than 85% of the seaborne trade by the end of the decade.